80 patches made for Native Instruments FM8 covering EVERYTHING from Huge basses to mysterious synth pads. Tons of Tempo-Sync'd rhythm patches to add a little extra magic to your mixes. UPGRADE FM8 by adding new patches! 72 awesome sounding patches for Native Instruments FM8 made by John "Skippy" Lehmkuhl that use all of the tools FM8 offers. 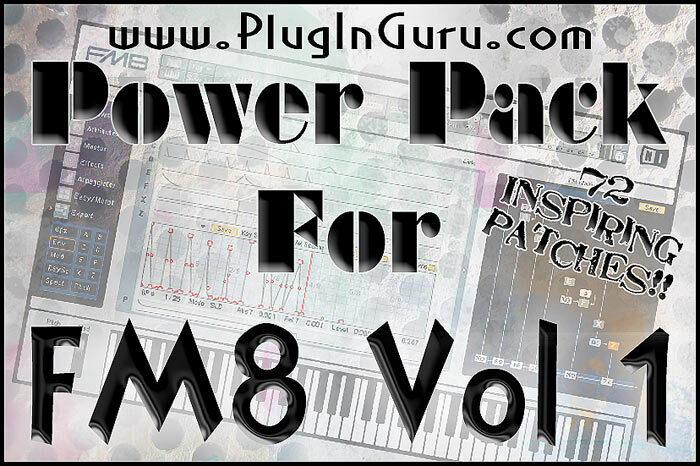 Huge booming basses, tons of Tempo Sync'd Patches, Lush Huge Pads, SFX and even "that" DX-7 electric piano patch. Because the Morph pad is programmed to the Max, each patch has literally hundreds of variations it can produce. So while this library has 60 patches, with the Morph pad, Skippy thought about saying it has 15,360 patches! !